Bullying has now become a constant and destructive part of everyday life. Unfortunately, it can begin at a very young age and at school. Bullying can take the form of anything from simple—though hurtful—name-calling to aggressive physical action. It can be first-hand, with one person directly bullying another, or indirect, through third-party gossip or online cyber-bullying. 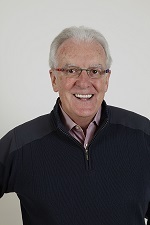 According to Bullying in Early Childhood, an overview article by Kyle Snow, Ph.D., writing for NAEYC (National Association for the Education of Young Children), as many as 25% of young children having experienced bullying, either as the victim or the bully. 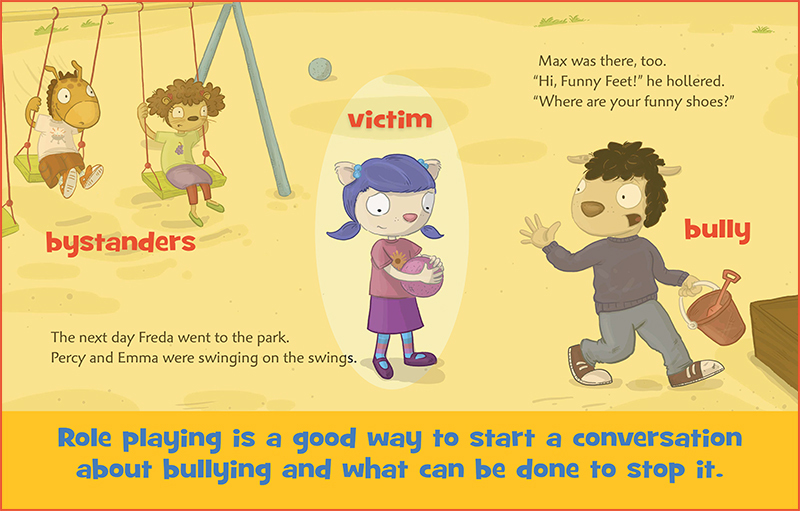 Young children need to learn to recognize bullying and develop strategies for stopping it. They need to learn how to protect themselves and how to empathize with and support friends who are being bullied. 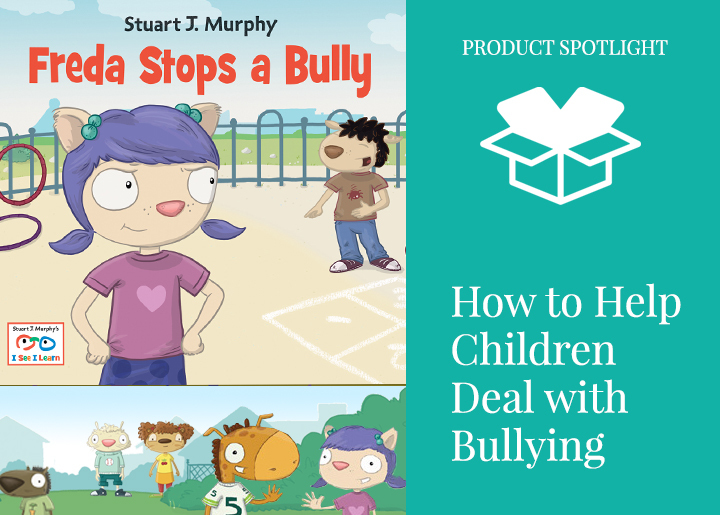 Teaching young children how to deal with bullying is critically important, which is why I wrote the story “Freda Stops a Bully” for the I See I Learn series. Freda, one of the children in Miss Cathy’s class at Ready Set Pre-K, loves her new pink shoes. But when she wears them to school, a boy in another class makes fun of her and she feels awful. Even when she doesn’t wear the shoes, he still calls her “Funny feet!” What can Freda do to make him stop? Teachers can encourage discussions about bullying, which is especially important when there is an incident at school, either in the classroom or on the playground. Have children draw pictures about bullying to show how it feels to have been bullied. Send the drawings home with the children for further discussion with their families. Use puppets to act out the roles of victim, bully, bystanders. Show how the different strategies can be used to resolve the situation.